 The well-recognized Robins Kaplan Miller and Ciresi LLP is a national level trial firm. It was founded as the law firm of Robin & Davis in 1938, and over the period of more than fifty years, it has evolved into a prestigious firm serving the legal needs of some of the largest companies in the world. At Robins Kaplan Miller and Ciresi LLP, the attorneys are well-versed in not only plaintiff but also defense strategies; hence, clients from all walks of life and with diverse type of legal issues can find solutions in the capable hands of the firm’s creative lawyers. Moreover, the lawyers also have extensive experience and judgment power to gauge when to advocate their client’s rights fiercely in the court and when to negotiate. From litigation to corporate finance, the lawyers at Robins Kaplan Miller and Ciresi LLP have a myriad of success stories. The firm is specially acknowledged frequently for its exceptional legal services in the area of Intellectual Property; “Minneapolis/St. Paul Business Journal” listed the firm on the number one position in the 2011 list comprising of top 25 Intellectual Property Law firms. “Law360” ranked the firm’s Intellectual Property practice and Insurance practice in the top 50. Robins Kaplan Miller and Ciresi LLP is a firm that truly recognizes its civic responsibility. The lawyers at the firm personally and professionally strive to give back to the community by donating to charities and by taking part in pro bono efforts. The firm’s pro bono efforts amount to over seven percent of the total attorney billable time. Hence, it is no surprise that the influential VAULT survey in July 2011 has awarded Robins Kaplan Miller and Ciresi LLP the number one position in the country for Pro Bono.